“Erik Norlander and The Galactic Collective will perform an all-instrumental set at the NJProghouse on Sunday April 13, 2014 promoting Erik’s two latest multi-disc releases, The Galactic Collective – Live in Gettysburg and The Galactic Collective – Definitive Edition, both available at www.thetank.com and fine prog rock retailers everywhere. The Galactic Collective is a re-imagining of Norlander’s favorite instrumental songs written for his band Rocket Scientists, his chanteuse spouse Lana Lane and his many solo albums including Threshold, Into the Sunset, Music Machine and Seas of Orion. Norlander will bring the music of The Galactic Collective to the stage on this second leg of his North American tour following a successful west coast run in the fall of 2013. 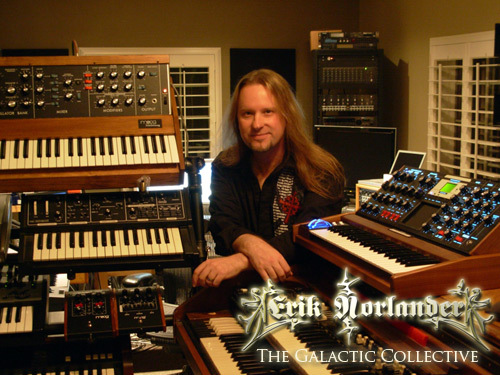 Erik Norlander is an accomplished keyboardist and composer who has produced over 30 albums. He has toured and recorded as the keyboardist and co-writer for the Asia spinoff, Asia Featuring John Payne since 2007 and has also toured extensively with Big Noize, a hard rock supergroup featuring Joe Lynn Turner, Vinny Appice and other rock luminaries. Erik has been covered countlessly in magazines and other publications worldwide including three features in Keyboard magazine, most recently in the February 2013 issue. The Yellow Box is keyboardist/vocalist Charlie Labs, bass and Stick player Chris Merlo, and drummer Rich Moscatelli. 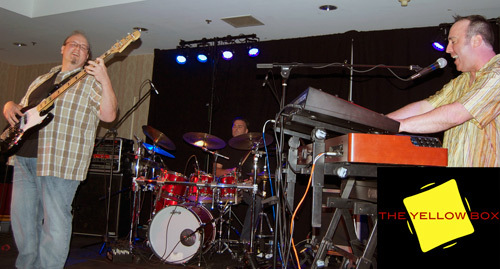 The Long Island band draws inspiration from 70s progressive rock and jazz fusion. Not only are the guys bandmates and writing partners, they are also really good friends. A live performance on the Gagliarchives helped introduce the band to a wider audience. An invitation to play at the NJ Proghouse is the band’s next major milestone. Keep an eye out for their debut album later this year. Follow the band at www.facebook.com/TheYellowBoxMusic or on Twitter at @TheYellowBox.